Chocolate, Wine, & Beer: a deep, dark, delicious, decadent tasting event on Friday, February 17th, 2017. 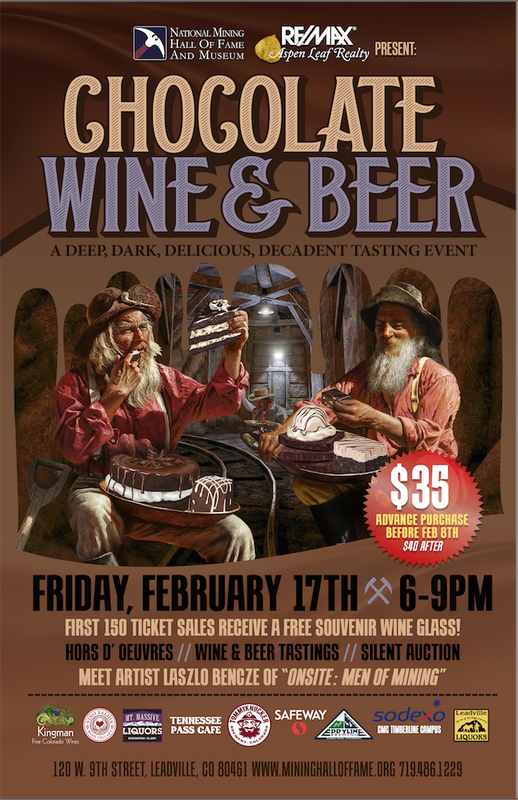 Re/Max Aspen Leaf Realty & National Mining Hall of Fame & Museum present: Chocolate, Wine, & Beer: a deep, dark, delicious, decadent tasting event on Friday, February 17th, 2017. We hope you can make it! We'll see you there!